Luca Galantini graduated in Law with a thesis in History of the German Constitutional Law at the University of Parma. He is specialized in International Humanitarian Law and International Humanitarian Law of Armed Conflicts, obtaining the diploma of Counselor in International Humanitarian Law at the International Humanitarian Law Committee of the Red Cross directed by Dr. F. Benvenuti, professor of International Law at the University of Roma Tre. He was research fellow of European Law at the Scuola Superiore della pubblica Amministrazione of the Italian Presidency. He was professor of International Law at the University La Sapienza in Rome. He was also professor of European Political Institutions at Università Cattolica del Sacro Cuore. He taught European and International Law at the University of Turku (Finland), Jagellonica University of Cracow (Poland) and at the University of Monstar (Bosnia-Herzegovina). He was Expert Adviser at the Ministy of Foreign Affairs – Secretariat of the Minister of Foreign Affairs – for the European policies. He was legal adviser at the Italian Presidency– Technical Support Team for European Institutional Reforms - for the drafting of European Constitution Treaty. Prof. Galantini is an official Italian army paratrooper - reserve role - with task of instructor of International Humanitarian Law and of Armed Conflicts. 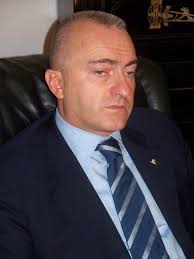 He was the scientific coordinator of different programs of the European Commission and the Italian government in the Balkans for the integration legislative policy of the former Yugoslavia countries in the EU. He is professor of History of Modern Law at the European University of Rome. He is lecturer in International Regimes at Università Cattolica del Sacro Cuore.